Catalogue > Cities: maps and sights of cities and villages > 7. South Holland > LEIDEN. Hooglandse Kerk en Gasthuiskerk. DE HOOGLANDSCHE KERK te LEIDEN. 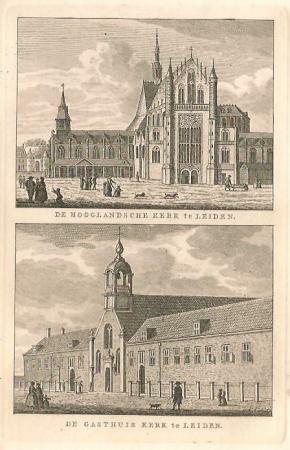 / DE GASTHUIS KERK te LEIDEN.